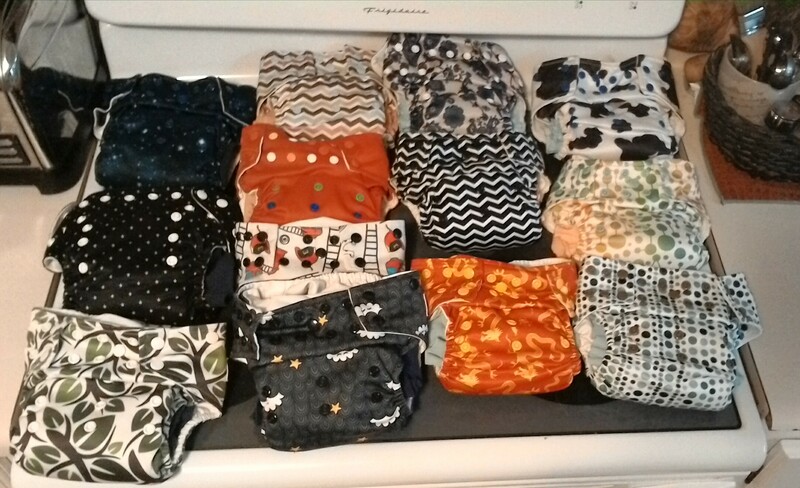 Making the Switch To Cloth Diapers! About 1 year ago or 2, I thought about switching to cloth diapers, but never really did venture down that road. I asked some family about it, but I just did not get the feeling that it was something I wanted to get into. 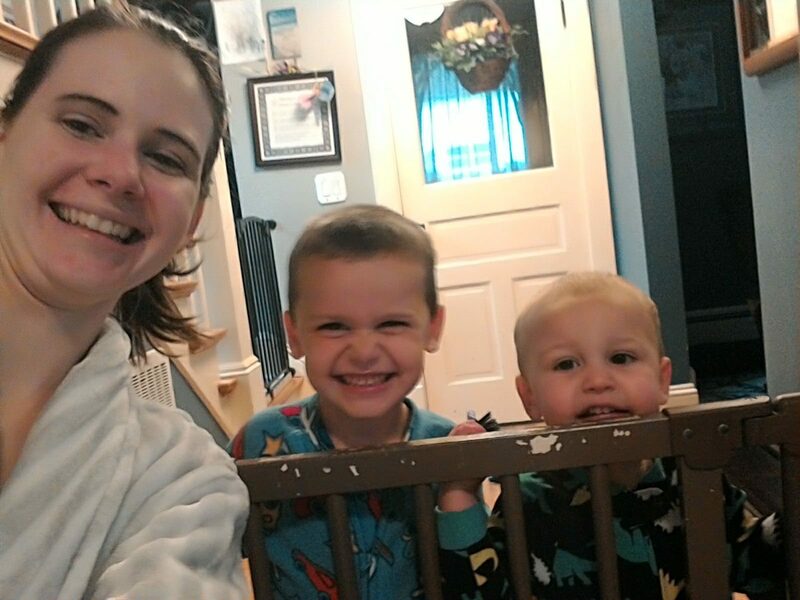 At the time we had 2 in diapers and I think our middle child just got out of them. I don’t remember correctly as I am pretty sure, that is something parents want to forget!!! Hahaha!! Just joking. Mommy brain! The last couple of weeks, there has been a lot of talk about single used plastics and cutting back, finding better ways and alternatives. Diaper waste has always been on my mind, but more so now. Just enough to make me feel ready to make a change. We are only going to be using diapers for about one more year. I am part of a mom supporting other moms group and I blankly asked for information about everything on cloth diapers! First response was check out YouTube. But I really wanted to talk and ask questions first. Then along came some great advice! I was so happy!! Next came finding some used ones (I did not want to buy new, reuse, reduce, less cost too). I did find some, 13 for $65.00, with 10 extra inserts. Next I did check out some YouTube videos and found some good ones. Here are my favourites from We Are The Strange. How to Bleach Update: I don’t use bleach anymore, its bad stuff!!! I switched to liquid Oxygen Bleach, by Nature Clean. Works great!! Washed, stuffed and ready to go! First one put on. Not too bad! Thomas did not really notice a difference that I could tell. Super happy! Guess how long this one lasted. 20 minutes. Guess how dirty it was. Yup, #2. Jump in the deep end! No easing into new routine! Hahaha! I was not really prepared. Ha! Ended up tossing my supposed reusable liner. I think I will make some reusable wipes for pee cleanups, since I have to wash all the diaper pieces too. Keep using my homemade wipes for messy times. I have to mention my husband. 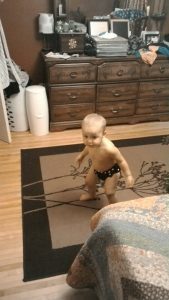 When I first brought up the talk for cloth diapers, he immediately said NO. Then after 10 minutes he said if that is what I want to do, its okay. But did not want to spend the money. So still kinda of a no. Then another 10 minutes he asks about the cost and says yes. But he is not dealing with those diapers! Haha!! I don’t mind one bit, I do most of the changes anyways. He helps with a lot of other things too, so I let him off the hook. I’m a very passive person. I will be keeping a “daddy stash” of disposables for him and even for Grammie Jean, who helps with babysitting occasionally. I am super happy and looking forward to the next few days in working out the kinks! 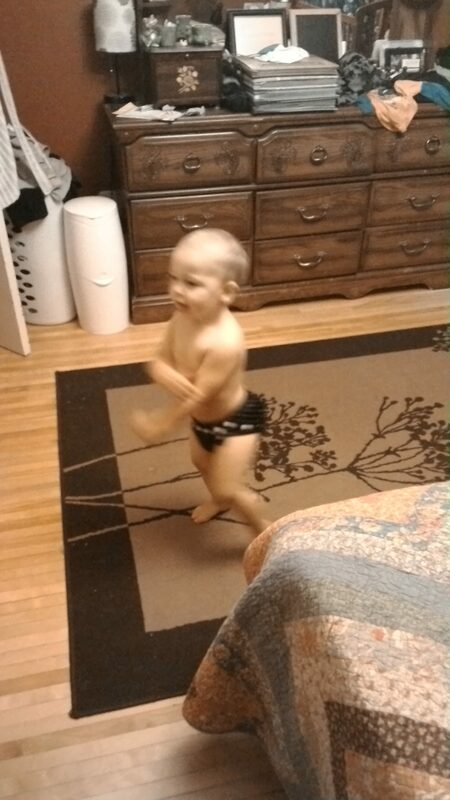 By the end of the first day of using cloth diapers, my boys bum was turning red. Yup. . . So I immediately asked the moms group for information and it turns out my makeshift liners were not going to do. They don’t wisk away moisture. I was told to use store bought liners or fleece. I got a secret that I did not share yesterday! The lady I bought the cloth diapers from was offering the rest of her roll of liners. When she showed me a picture of them, I thought it was a roll of plastic liners for a garbage pail. I even said I don’t want them as I am cutting out waste at home. I asked if I could go without them and was told yes. Haha! Oh what did I get into eh! I took care of Thomas’s bottom and put back on a disposable (Chris’s idea and a good one) and after he went to bed I went out shopping. First stop was Wal-Mart. I looked and looked and could not find any! I asked an employee, and she found out they don’t carry them. I was surprised! Really! I took a look at the fleece blankets but they are all made of polyester. I did not think that was right for my babies bottom. I walked out empty handed. Took a trip next door to Superstore, only to find none there either. On the way back home I stopped into Sobey’s hoping they might have some. Guess what! They did not. It was well after 10:00pm when I got home disappointed. Next day, the 29th, I messaged the group and the lady I got the diapers from saying I made a huge mistake and I need liners. Apparently I have to go to Toys R Us or buy them online and a wool substitute for reusable liners, microfleece is best. Eesh! The lady said I can go pick up the liners I refused Sunday. I took this whole cloth diaper journey way too fast. Not enough communication or research. Thomas bottom is fine by the way. Switching back to disposables and cream for overnight fixed him right up 100%. My husband says too much Hare, not enough Tortoise! Our journey will begin again sometime tomorrow. I will add an update later to say how we are getting along. Turns out I am not getting those liners from the lady, she is not available. . . ? So I will be ordering them online, delaying the cloth diaper use. Why do local stores not carry liners?? Got a confirmation yesterday about buying a polyester fleece blanket! Yes! Thank you! Fleece blanket is in the washer! I figured there was more work to it as the blanket gets cut, I thought the edges would need to be sewed! Not the case! 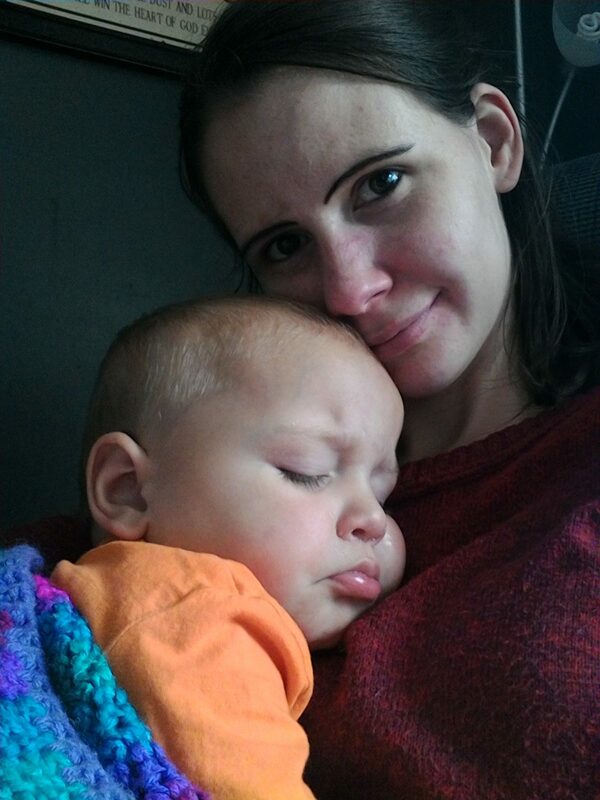 Hopefully this afternoon I will be ready to jump back into the cloth diapers! Blanket is washed and dried. I cut it up into strips for liners but it is falling apart around the cut edges! Messy! Putting them in the dryer to see if those loose pieces will come off that way. I thought that would happen. I hope they dont come undone all together! Alright. Dryer worked. Much less fuzzy! Round #2! Ready, set, go! 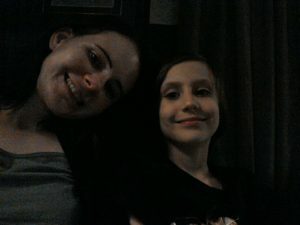 Had a great evening and night. Liners are working great!! Though today there has been a couple leaks. I guess I need to change him more often. I found a fleece blanket that doesn’t really get used. Much better than the one I bought. Cleaned it up and it is ready for use now! Cloth diapering is super easy! Super happy with the new liners. Thomas has no rashes! I’ve gotten just as fast changing a cloth diaper as I could a disposable one. 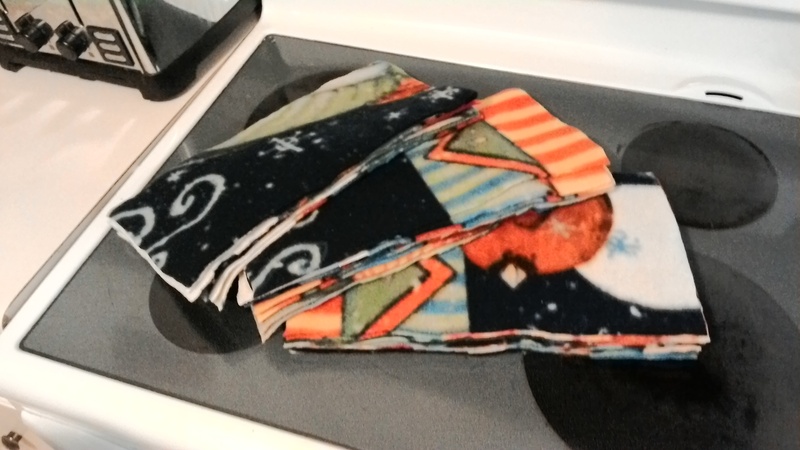 Today I made some cloth wipes, mainly for the quick cleanups not the messy ones. I am not that brave, yet. Well, I got more brave. 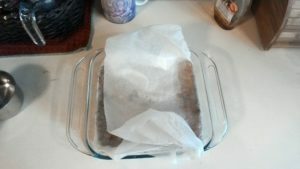 I made better reusable wipes from a sheet, more sturdy, and decided to use them for all cleanups. No more paper towel. No more stinky garbage = less waste. 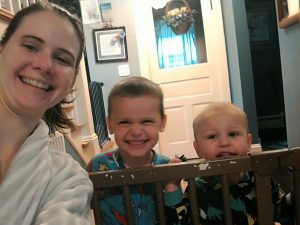 September 28, 2018 February 27, 2019 Kind Article2 Comments on Making the Switch To Cloth Diapers! Busy day today. Bread, granola bars and Jack is going for a sleep over to Meme and Pepe’s house! First cup of coffee drank, and we are all still in Pj’s at 10:10! What fun will we find today? Lets start! 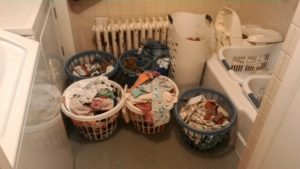 Added some updates to my Managing Our Waste At Home Weekly page for this week. Did not get to bake my bread. That’s okay. 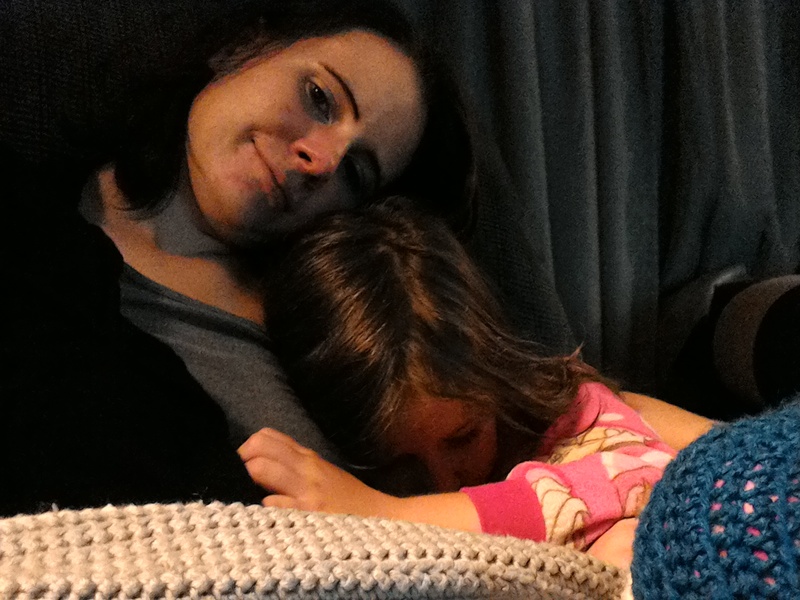 Jack ended up coming home as he was home sick. Poor fellow. Searching out cloth diapers and how to use them! 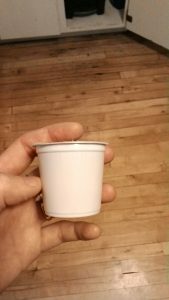 Not all of us have made the switch to using reusable K-Cups for the Keurig and thats okay. (Update February 2019, re reading this post, and no, its not okay. Plastic is plastic, it needs to get cut out). Lots of those pods are now recyclable! 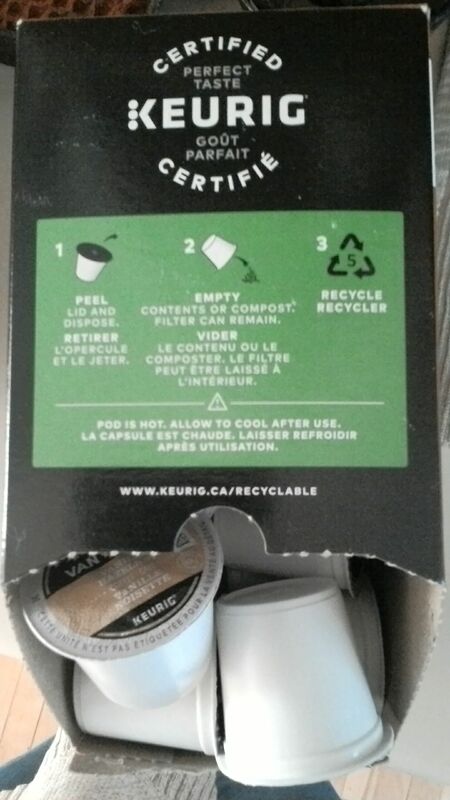 Just make sure the box tells you they are recyclable, or check the bottom of the pod. The catch, you have to disassemble them first. The instructions say to remove the film cover, dump out the contents and recycle the container with the filter. But the filter is not recyclable and you can not simply rip it off . . . Note: I did not cut my thumb when removing the lid. Separate incident! Lol!! 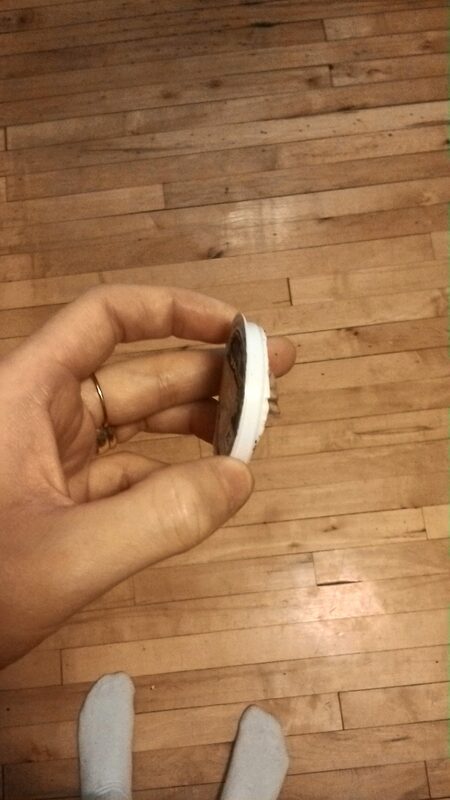 The only way I have managed to take it off is to cut the container below the lid with scissors. The filter will get cut at the same time. Once the container and lid are separated, dump the contents, filter included into the compost and you are left with a recyclable container and can trash the lid. 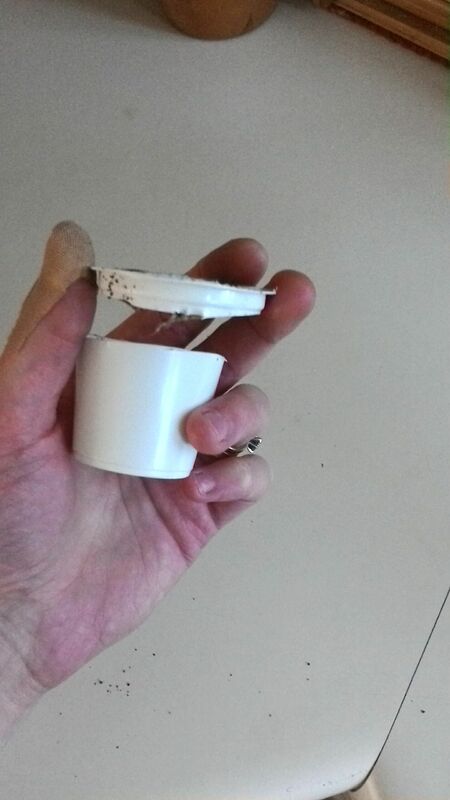 Trashing the lid is far better than trashing the whole pod! Update February, 2019. I have patience and hope that my husband will make the switch away from these k-cups. He knows about the matter, but like everyone else who is on the plastic free journey, they too were in this and changed when they were ready. Usually packed items through out the week are carrots, apples, berries, oranges, crackers, pretzels, popcorn, Fruitcup, occasional yogurt drink, yogurt in my own container, granola bar wrapped in paper towel. Juice box, sandwich meats(beef and smoked), hotdogs and any leftover meats from supper like chicken or steak. Everybody likes different things so there is a lot of variety. 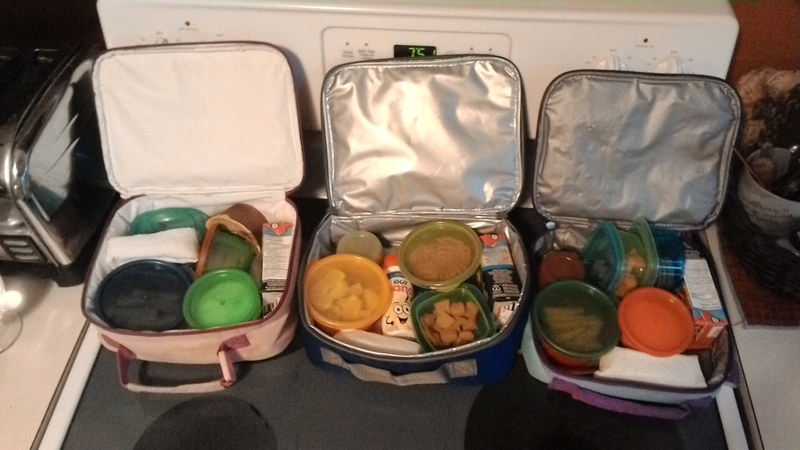 3 lunch cans for our school kids. I try my best to steer from packaged snacks. 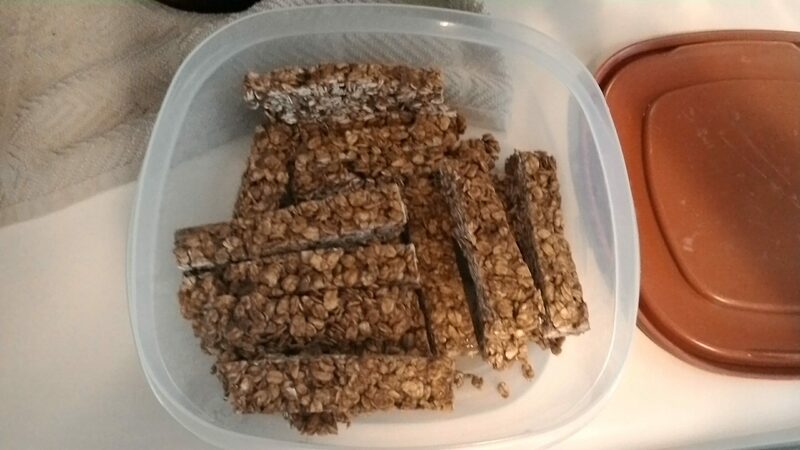 I make my own granola bars. I put crackers and such in containers. Fruit goes in containers too. I tried reusable juice boxes, but they started to leak and I didn’t know what to do with them to make the leaks stop. Not lay them down I guess, but that is impossible with lunch cans. They are flip flopped in every position! For now, I switched to juice boxes from cartons, at least they care recyclable. Looking into something more leak proof, and not break the bank! One thought that comes to mind about those disposable juice boxes is how come they can not be opened like cartons of milk? The little milk cartons. Alaina never uses the straw. She manages to poke the hole without it(I’m not sure how) and just drinks out of the hole. Other kids do not too she says. No sandwich bags needed! Though, containers take a lot of space! I would like to make cloth bags for school which would help with space. Here is a link to the idea. Writing Instrument Recycling Program. Staples Canada. I just found out, by accident, that Staples accepts old writing instruments! Don’t throw out your old pens and markers! Stop in, drop off and they will take care of the rest! I even called our local store to confirm they accept these items. Its true! This really should be advertised more!!! Here is the link to their recycling program. September 24, 2018 September 24, 2018 Kind ArticleLeave a response on Writing Instrument Recycling Program. Staples Canada. Another weekly trip to the grocery store. 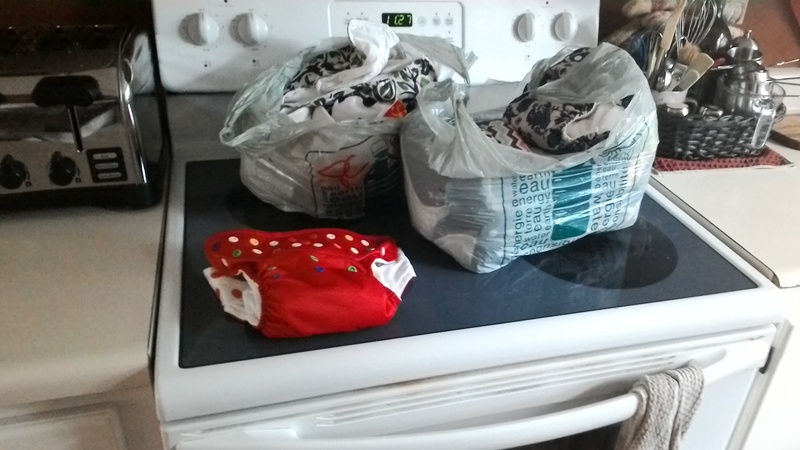 First stop was the Bulk Barn. Actually, I made two trips as I needed refills on lots of items. 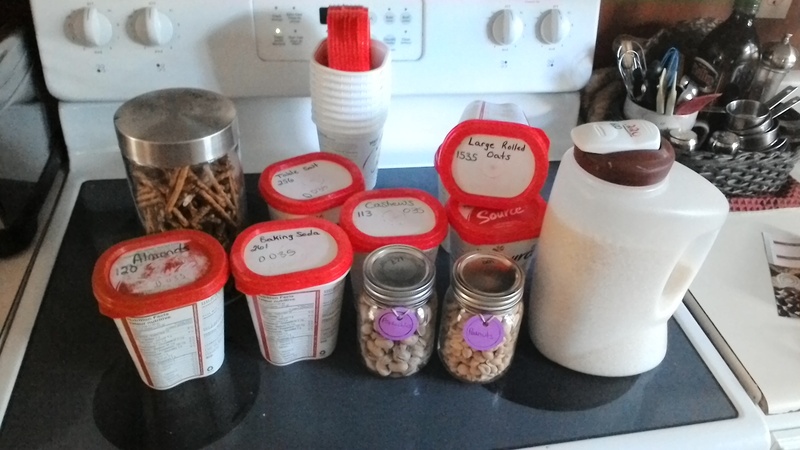 Pretzels, rice, peanuts, almonds, cashews, pistachios, large rolled oats, macaroons, chocolate covered almonds. You will notice my yogurt containers. I love using them at the Bulk Barn. They are a perfect size for scooping in products. Its not too small, and they carry the amount of product I want to get. If I need more, I will fill two containers worth. 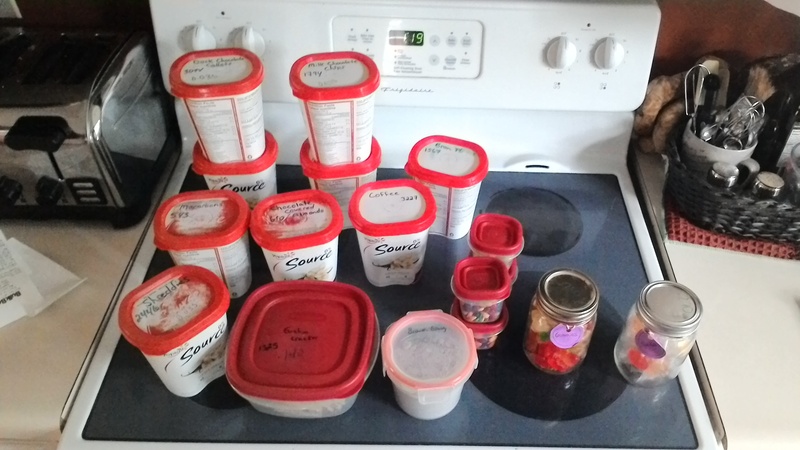 By bringing in these containers, I don’t have to empty the little bit left from my pantry containers. Plus, the yogurt containers are washed right after they are used and are then clean and ready to go for the next trip. I managed to clean off the label from the lids (most of them) and I am assigning the lids with permanent marker to products. That way they have a permanent label that is not tape which would be removed/ruined when washed. Also, I add the product number used by Bulk Barn to make it easier for them to punch in the product codes. As well, the lid has the weight marked for the container. 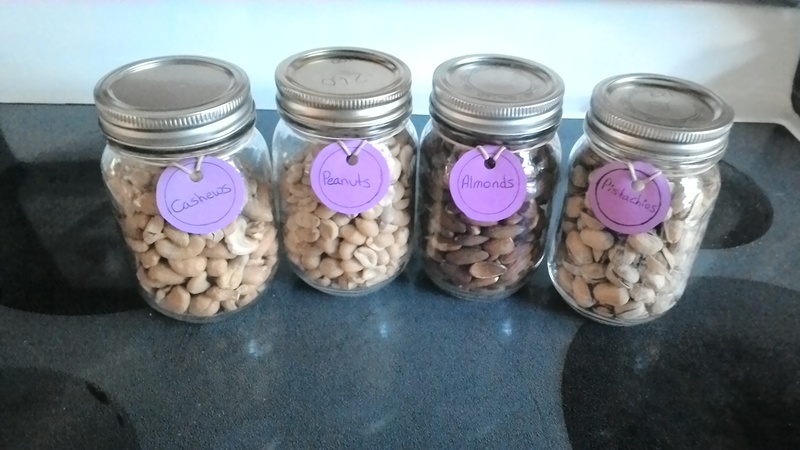 Here is an example of refilling my pantry containers, nuts. A show of my newly made labels too. Stock card, a hole punched out, labeled and an elastic band that is attached and wrapped around the jar. This way, when I want to wash my container, simply take off the band, and the label does not get ruined. Gala apples, green apples, naval oranges, carrots, pepper, field cucumber, celery, broccoli, peach and plum. Package free. I did find grapes in a recyclable bag, only reason I bought them. I also bought a peach and a plum, trying to encourage my kids to eat other fruits too. Mostly a no go. Also, strawberries and raspberries in a shell package, though, recyclable. Recently I found out that the thin wooden crates the local berries are packed in, are waste! I want to support locally, but not by means of waste packaging. I opted the buy non local products. 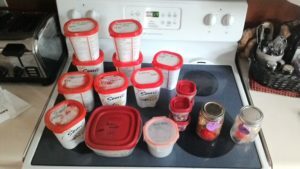 September 22, 2018 October 11, 2018 Kind ArticleLeave a response on Less Packaging! Update on how I am doing on managing our waste at home on a weekly basis. 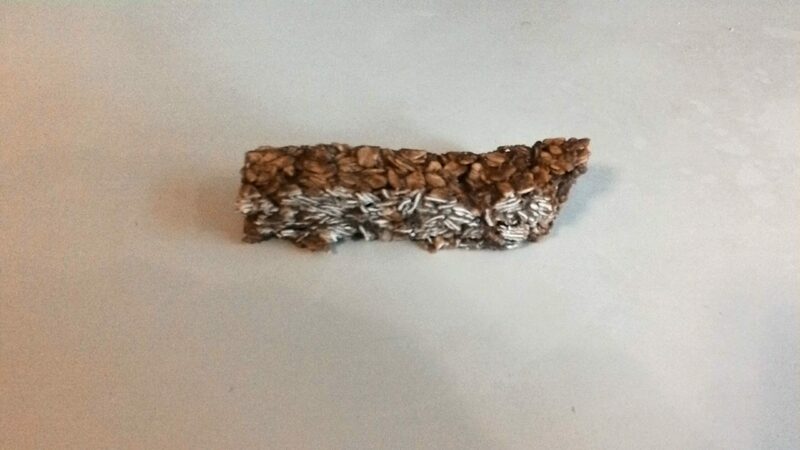 The kids really enjoy the store bought granola bars. 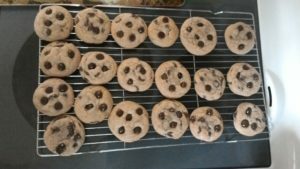 I was determined to find a recipe they all enjoyed and I did! Even Chris likes them! We both would like added nuts, but with a nut free school, that is “nut” going to happen unless they get eaten lots at home alone. This recipe I found needed to be tweaked to the kids liking, so I will share our recipe with you. 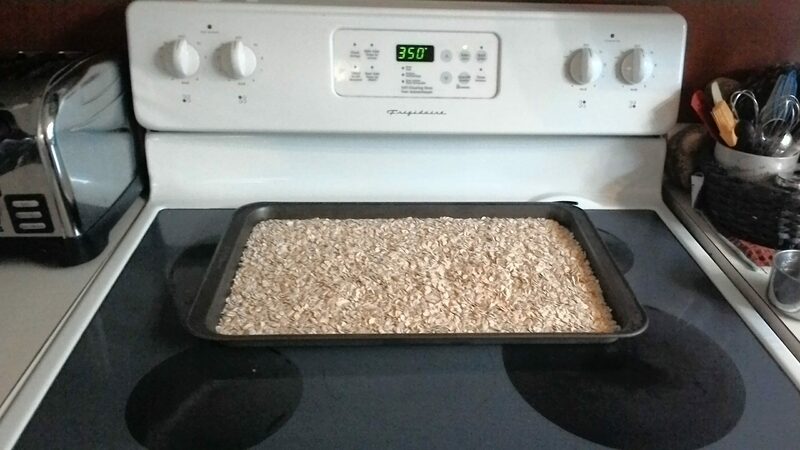 First toast 3 cups large rolled oats at 350 degree preheated oven for 15 minutes, stirring up halfway through timer. 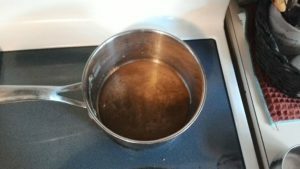 Next, heat in pot 2 Tbsp canola oil, 2 Tbsp maple syrup, 1/4 cup of honey, 1 tsp vanilla, 2 Tbsp dark brown sugar and .5 tsp salt. Heat up until brown sugar is dissolved, but don’t boil. Once the oats are toasted put them in a large bowl, add the hot liquid mixture and stir for 1 minute to coat the oats. 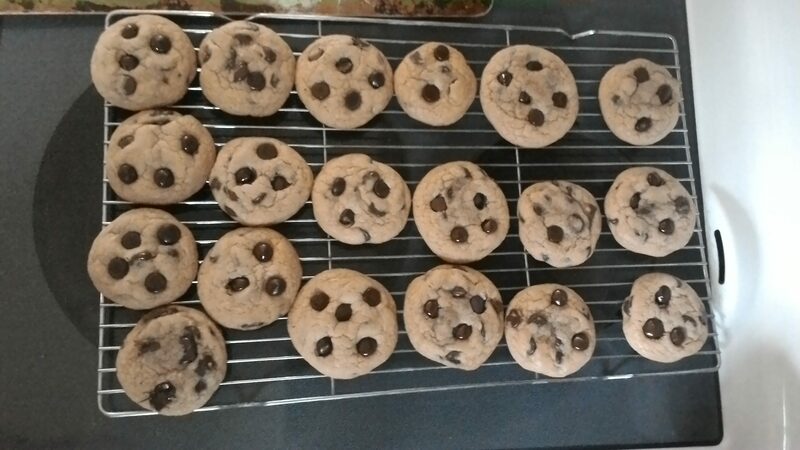 Add 1 cup of milk chocolate chips in the pot while the mixture is still hot so the chips will melt. They will act like glue to hold the granola bars together. Stir for another minute making sure mixture is coated very well. 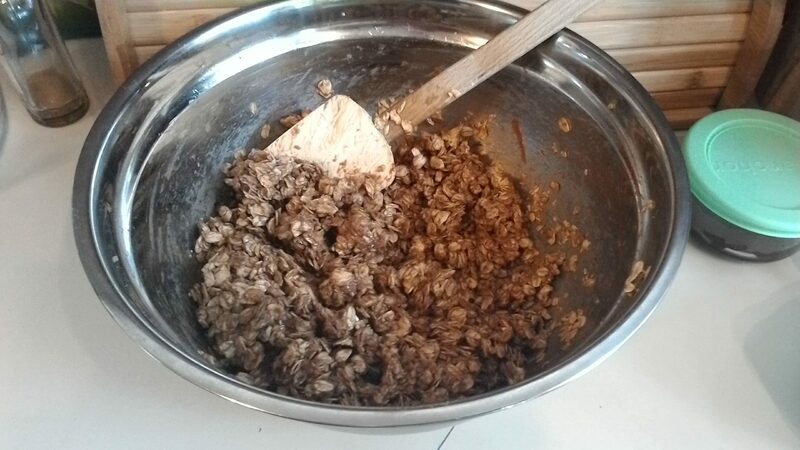 Add .5 cup milk chocolate chips into the bowl when the mixture is not so hot and fold them in. (Optional). 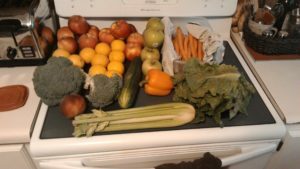 (see update at the bottom for a waste free alternative to this step!) Line a 8×8 dish (pyrex) with parchment paper, enough to fold over itself once the granola is pressed. Add the mixture and press it down to all corners of dish. 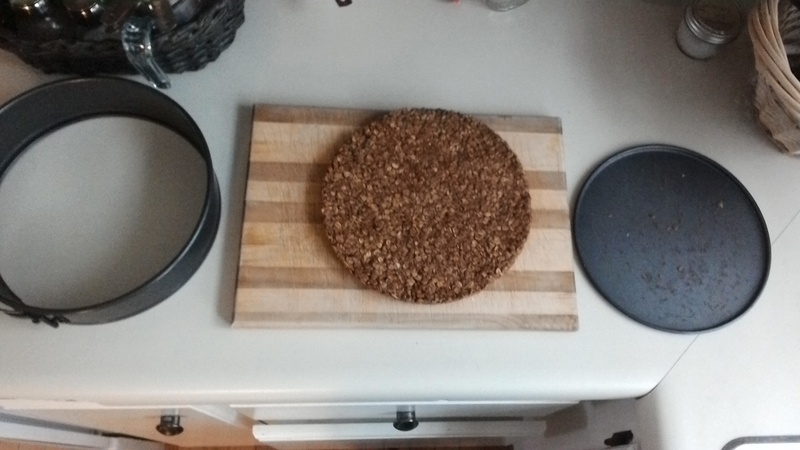 Use a flat utensil to firmly press the granola down. Cover the granola with the extra parchment paper and with your hands to smooth the mixture flat. Keep on counter until cool, about 1 hour or more. If still warm, leave it longer! 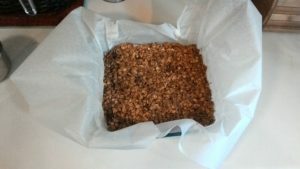 Remove the parchment paper and granola out of pan and peel off the paper. Cut the granola onto bar sizes and store them in an airtight container. 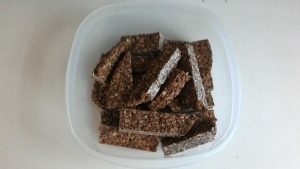 I figured out a way to use no single use material in tge making of the granola bars. 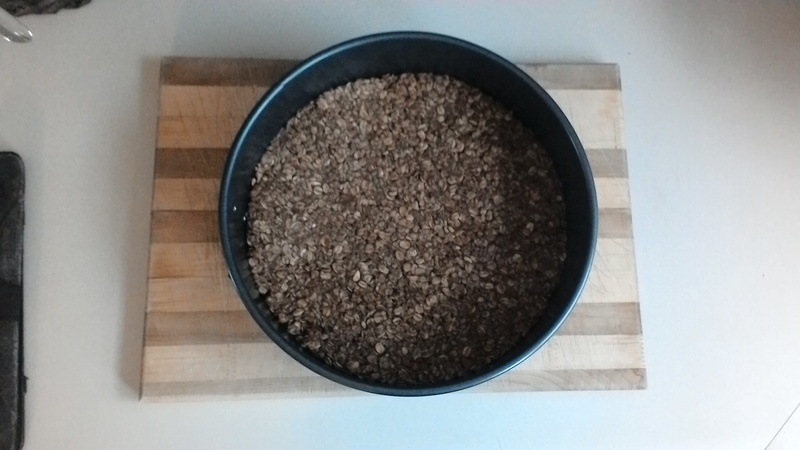 Simply use a cheesecake pan! September 19, 2018 November 28, 2018 Kind ArticleTags Diy, FamilyLeave a response on Home Made Granola Bars.